St. Martin's Griffin, 9781250161062, 288pp. Called "marvelous" and "absolutely stunning," this debut asks: What happens when a mother's death leaves her husband and daughter wondering why they thought everything was okay when it was not? ABBY FABIASCHI graduated from The Taft School in 1998 and Babson College in 2002. She is a human rights advocate and co-founder of Empower Her Network, a nonprofit that paves a path for survivors of human trafficking with a will for independence. In 2012 Abby resigned from her executive post in high tech to pursue a career in writing. 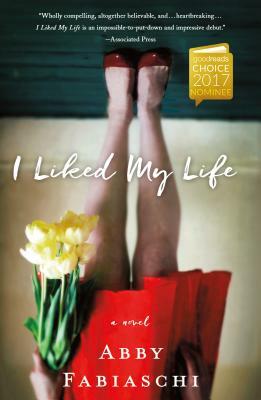 I LIKED MY LIFE is her first novel. She and her family divide their time between West Hartford, Connecticut, and Park City, Utah.